Dwaine Holmes, from our Richmond, Virginia market, has worn many hats over his lifetime here at Flagger Force. Starting as a crew member, he was quickly promoted to instructor and will now be an area supervisor for his market. His positive attitude and Safety-Driven focus has made him stand out not only among his peers, but also with the Virginia Department of Transportation (VDOT). 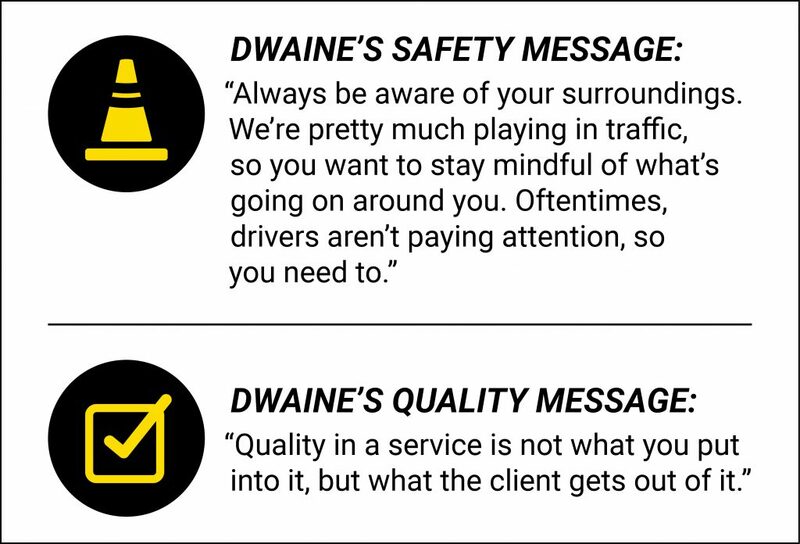 Flagger Force had the pleasure of sitting down with Dwaine and learning more about his journey within the company and how he has impacted training in the state of Virginia. Flagger Force: Hi, Dwaine! Thank you for chatting with us today. How long have you been with Flagger Force? Dwaine Holmes: I’ve been with Flagger Force for a little over two years now. I came onboard in August of 2015. I didn’t know much about the company since it was just coming into the state of Virginia when I applied, but I wanted to get into something different and get outside. 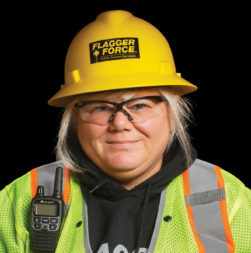 I worked in warehousing for most of my career, and Flagger Force was the perfect new opportunity for me. When I came in for the interview, I was sold—I felt that this was a good company to work for and that I could grow with it. Flagger Force: Speaking of growing within the company, you’ve held many roles since joining the team. Can you tell me about your Flagger Force progression? Dwaine Holmes: I started out as a crew member and moved my way up to be an advanced crew leader. I then became an instructor in January of 2016 and have been the lead instructor in our Virginia market since. Now, I’m transitioning to area supervisor. I was just promoted to this role and am looking forward to it; however, I’ll still be helping the new instructor—training them and taking a more advisory role to ensure when people come in they’re getting the knowledge they need to get the job done correctly and move up in the company. Flagger Force: Since you’ve been an instructor, do you get the opportunity to get back in the field? Dwaine Holmes: Yes, occasionally. I enjoy getting back in the field and doing the work. I like working outside, putting the setups together, ensuring pedestrians and vehicles get through the work zone safely, and making sure the client we’re working with is safe for the day. Getting back out there, I can keep my skills sharp. 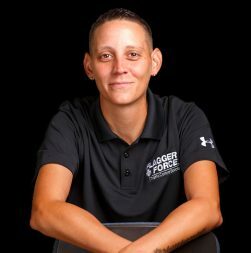 Flagger Force: What is it like working with different clients—both those you meet in the field and those you meet internally in a classroom setting? Dwaine Holmes: It can be different since everyone has their own disposition. In the field, I meet the client and introduce myself, which helps to set the tone for the day. I enjoy interacting with them and building relationships with them. Now, when it comes to new employees, of course they don’t know what they’re getting themselves into as they may be starting a new field. Like clients in the field, it’s my job to make them feel comfortable. I can relate to their puzzled looks, so I always share my story with them. I tell them that when I first started, I was a little confused since I never did something like this before and felt there was a lot of information coming my way. At first, I didn’t think I’d be able to do it and wasn’t sure how long I’d last. But when I actually got in the field and did the work, it was easier than I thought, and I enjoyed it. And now, two year later, I’m still here and have been progressing my career with the company. Flagger Force: It’s great that you’re able to adjust to field conditions, both in and out of the office. Tell me about one of your best days on the job. Dwaine Holmes: I was working a job where a VDOT official came to inspect the site from start to finish every day for four months. On my first day out on the job site, he asked me to call my manager at the office. I was nervous, but I did. To my surprise, he told them that I did such a good job, that he didn’t want anyone else out there or he’d shut the site down. It was so unexpected and really made me feel good and gave me more confidence in what I was doing. Flagger Force: That does sound like a good day! Speaking of VDOT, we heard that you had some influence on their training materials. Can you talk about that experience? Dwaine Holmes: Sure! One of the classes I teach is Basic Work Zone. While teaching this course, I noticed a pattern as I was grading the VDOT-supplied test—everyone was getting number 29 wrong. So, I went back, reviewed the test, and noticed an error. It was a question about the illumination requirement for flagger stations. The correct answer is 5-foot candle (50 lux). Our folks were actually marking it correctly, but with the typo in the test, it was getting marked wrong. The test read “5-foot candle (500 lux).” I reached out to Ginger Quin from VDOT, letting her know about the error on number 29. And within a few weeks, she responded letting me know that it would be taken care of and thanking me for helping to make the VDOT training better. Now when I see “Rev Oct 2017” on the top of the test, it makes me proud knowing that I was able to help make our training materials more accurate. Flagger Force: What an accomplishment! When you’re not at Flagger Force, what are doing? Dwaine Holmes: I like to spend time with my two sons, Dwaine Jr. (7) and King (5), as well as my niece, Arianna (6). They kind of run me, so whatever they say goes, and wherever they want to go, we’re going. These three are the reason I strive for greatness, because at the end of the day, they depend on me. I’m passionate about being an excellent father for my kids since I’m trying to groom them into becoming future leaders of this world. Flagger Force: Sounds like you have your hands full and are an avid teacher. What do you enjoy most about teaching here at Flagger Force? Dwaine Holmes: Helping people learn what we do here and helping them succeed. Like my approach to fatherhood, I want those in my classes to become better employees and future leaders for the company. Flagger Force: As you meet new employees, do you provide them with any advice? 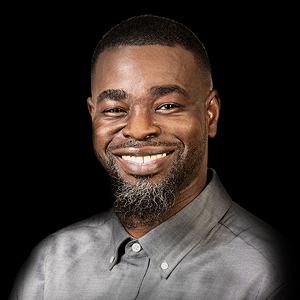 Dwaine Holmes: I tell new employees that if they follow the four values that we share in this company (Leadership, Integrity, Respect, and Trust), that pretty much the sky’s the limit here at Flagger Force. Who do you admire most? My mom, because she is a strong woman. Almost three years ago, she had to bury my sister and started raising my niece. It was tough, so her strength is very admirable. If you could meet anyone in history, who would it be? Martin Luther King Jr., because I like people who try to make a difference in this world, and he had an influence on a lot of changes. What’s the best piece of advice you’ve been given? Always strive to be the best at what you’re doing. My father and grandfather used to tell me that. Can you describe yourself in one word? Motivated. I have things I’m trying to get accomplished, so I try to say focused. I stay motivated by keeping a positive attitude—if you think negative, then negative stuff will happen, and if you think positive, positive things will. Dwaine Holmes, has worn many hats over his lifetime here at Flagger Force. Starting as a crew member, he was quickly promoted to instructor and will now be an area supervisor for his market. His positive attitude and Safety-Driven focus has made him stand out not only among his peers, but also with the Virginia Department of Transportation (VDOT). 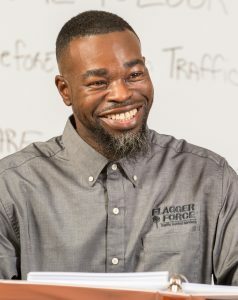 Flagger Force had the pleasure of sitting down with Dwaine and learning more about his journey within the company and how he has impacted training in the state of Virginia.